Human beings are sensory beings, our senses are how we connect with and internalise the world. Driving and dining are both a multisensory activity, which engages multiple senses at any one time. Each activity is guided by sensory touch points: the weight of a door or of cutlery, the visual beauty of a dish or of a car, the luxurious texture of leather on a car seat or of a dining chair. All these elements, and many more, make up our relative experience of driving and/or dining. 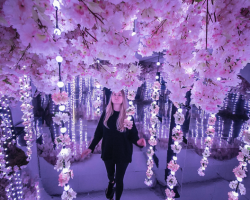 Therefore, it makes sense that when a progressive and premium car brand like Audi wants to engage further with those who are driving their beautiful machines, that experiential, immersive, sensory dining is the way forward. Our team at Kitchen Theory were commissioned to design and execute a series of dining experiences to offer Audi drivers exclusive sensory experiences. Audi does not simply design an automobile with the sole intention of transporting you from A to B, it curates a driving experience. 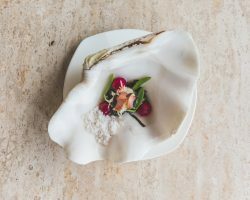 Like many of the most forward-thinking dining experiences around the world, our work at Kitchen Theory is not simply designing a menu to fulfil your human need to eat for survival, we curate food experiences that elevate the experience far beyond a meal. The project has been designed unlike any other collaborative project developed between a chef and an automotive brand. This concept is not just a dining experience designed for Audi, this is an experience which has been designed based on Audi, using its values and core messages of progress, innovation, excitement, simplicity and charm. All of which we believe should be at the heart of any great dining experience. 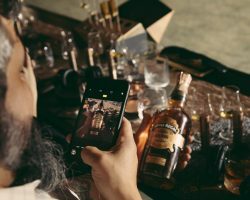 The goal was to immerse guests into the brand experience, educating them about the brand in the process. We started with the question; what would Audi look like if it were a restaurant? What would the menu, dishes and experience all look, sound, feel, smell and taste like? The 6 courses designed for this menu were inspired by a selection of our favourite Audi TV commercials, each commercial was screened ahead of the course it was linked with. 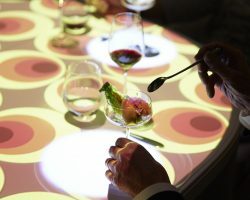 The dishes, table projections, audio accompaniment, table dressing and so on, were themed to each course, immersing the guests further into the commercials and the underlying brand philosophies Audi wanted to educate their guests on.